Trusted Review has tested Corel PaintShop Photo Pro X3. This photo editing program is the newest edition of the famous PaintShop series that are seen on as a cheaper competitor to Photoshop. In 2004 Corel bought the software developers so it is interesting to see if Corel is able to keep the quality standard that PaintShop is known for. Trusted Reviews ends up giving Corel PaintShop Photo Pro X3 a “Trusted Reviews Award” with a great overall score of 9 out of 10 points. PaintShop get a top score on value while almost getting the same on features and usability. Overall the latest version of PaintShop seems like a very capable piece of software and in most cases it will be as good as Adobe Photoshop. If you are a professional that need all the features that Photoshop has, PaintShop might not be your software, but for most users the software from Corel should be covering their needs. 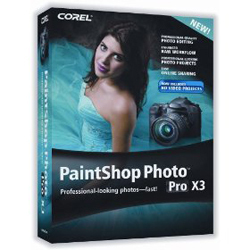 Read the full review of the Corel PaintShop Photo Pro X3 software here. Photography Blog has tested the Sigma DP1s. 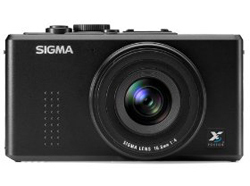 This compact digital camera from Sigma has a big 14 megapixel Foveon image sensor so it seems that Sigma has created a compact that takes image quality serious. But now that Panasonic and Olympus has released their Micro Four Thirds camera is seems Sigma has got it tougher. Let us hear what the reviewer thinks about the DP1s. Photography Blog ends up giving the Sigma DP1s an “Above average” rating with 3.5 out of 5 stars. The Sigma camera scores highest on image quality while scoring lower on value, features, ease of use and design. It is able to take pictures of excellent quality, but the camera lacks all the features you can get with Micro Four Thirds camera and on top of that it is quite expensive. The DP1s still seems like an interesting camera if you want the unique Foveon quality on your pictures. Read the full review of the Sigma DP1s compact digital camera here. CNET UK has reviewed the Olympus PEN E-P2 micro four thirds digital camera. This is the second camera from Olympus for this format. As I am thinking about investing into the micro four thirds format I find this review very interesting. 7.7 out of 10 possible points is the overall score that CNET UK gives the Olympus PEN E-P2. The reviewer really likes the design of the camera, that you get manual controls in movie mode and the electronic viewfinder have high quality. What the reviewer does not like is quirky controls and that the camera is quite expensive. Overall it seems like a very good camera that is able to take excellent pictures, but the Panasonic GF1 is a strong competitor to the E-P2. I have yet to decide what camera I should get for myself. Read the full review of the Olympus PEN E-P2 micro four thirds camera here. 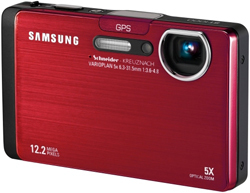 Photography Blog has reviewed the Samsung ST1000 digital camera. This Samsung camera has several interesting features like geo-tagging and a big 3.5″ touch LCD screen with 1152k pixels resolution. Photography Blog ends up giving the Samsung ST1000 an “Above average” rating with 3.5 stars out of 5. The Samsung camera scores highest on features, ease of use and design while scoring lower on image quality and value. Samsung has a lot of nice ideas, but it does not receive top score because the image quality could be better, the price tag a bit lower and the GPS system does not work as good as it should do. Hopefully it will work better in the next model from Samsung. Read the full review of the Samsung ST1000 digital camera here.